Yes. What you are seeing is real. Those are worms and insects inside those lollipops. Normally, the “Disgusting Food Item of the Week” comes from some far-off land, and serves as a reminder of the vast culinary gulf that separates Americans from the rest of the world. This week, however, I have found an item that’s made and sold right here in America (well, California, anyway) – insect candy. 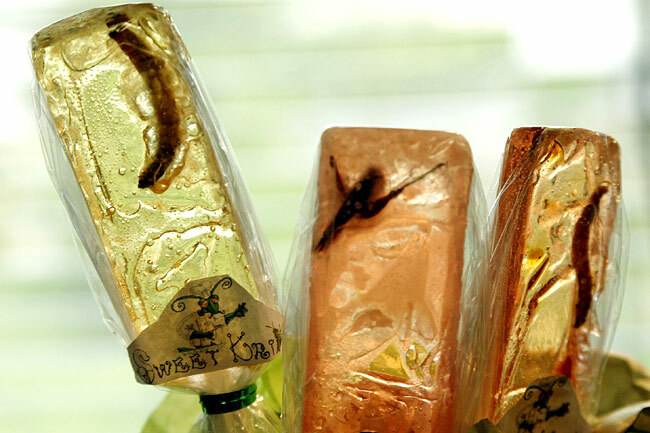 For over 20 years HOTLIX® has been making people cringe with delight with their outrageous confections featuring real insects embedded inside the candy! 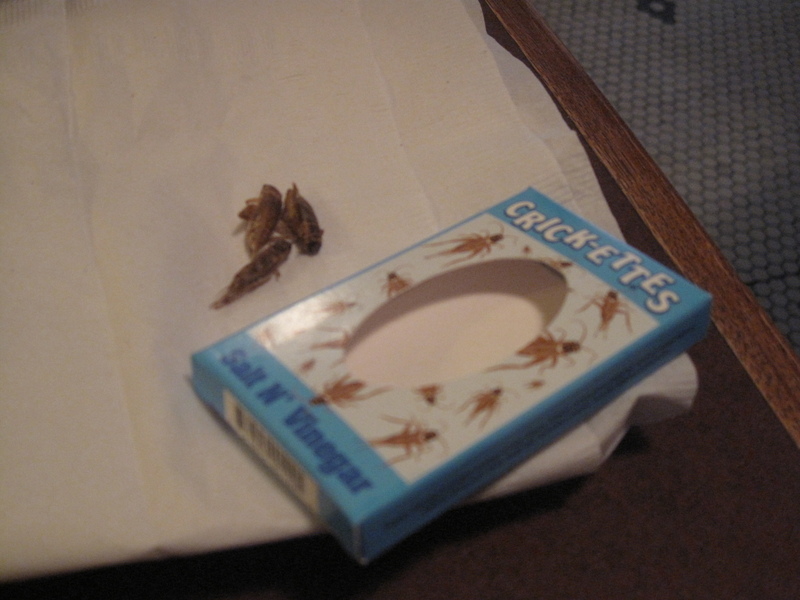 A box of Crickettes. A few got out. So many disgusting Hotlix “treats” to try: Crickettes (Salt ‘n Vinegar, Bacon & Cheese, Sour Cream & Onion), Larvets (crunchy flavored worms), flavored Scorpion Suckers, and many more. 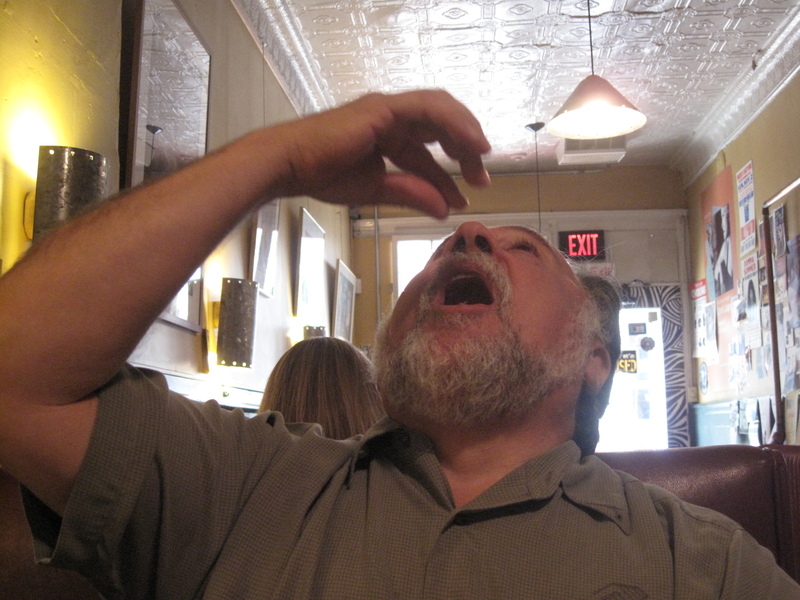 My friend Tom enjoying some Crickettes during a recent lunch at Ambition in Schenectady. No, I did not have any. Previous Previous post: Quit Squeezing the Tomatoes! All I have to say is: EEEEWWWWW!